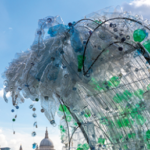 Today the new trend report about Sustainability Reporting Instruments has been published. Last year, 2015, was a milestone for sustainability with crucial and unprecedented agreements by the international community, including the Sustainable Development Goals (SDGs) and the Paris Agreement on climate change action. The year 2016 now calls for translating these achievements into action to achieve the 2030 Agenda for Sustainable Development. It also marks the tenth anniversary since the first Carrots & Sticks report was published in 2006. (The second report was published in 20104 and the third in 2013). 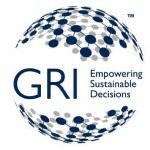 Carrots & Sticks is produced jointly by KPMG International, GRI, United Nations Environment Programme (UNEP) and The Centre for Corporate Governance in Africa (at the University of Stellenbosch Business School). 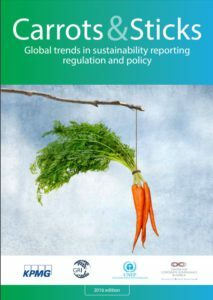 Objective of this report: an assessment of progress in sustainability reporting instruments In this report we assess developments in sustainability reporting instruments worldwide since the publication of the last Carrots & Sticks report in 2013. 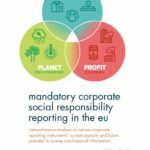 By ‘reporting instruments’ we mean any instrument, mandatory or voluntary, that requires or encourages organizations to report on their sustainability performance.